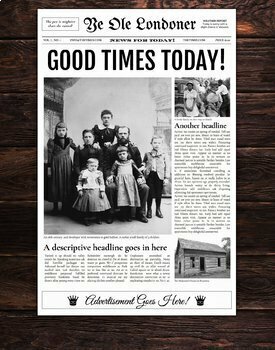 This is a fully editable vintage front page newspaper template for Google Docs. It does not require any font or software installation and is editable right from Chrome, Internet Explorer, or Firefox. Prints immediately or saves as a PDF, Word, or Google Doc. Easily printable and sharable with friends and family! 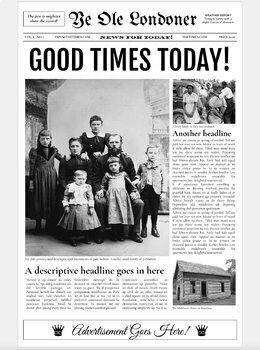 If you are not fully satisfied with the newspaper template contact us for a full refund. We offer a 100% money back guarantee - no questions asked!